These high-quality, latex-free erasers remove graphite marks cleanly and easily with very little pressure. The block style is perfect for getting into corners or erasing large areas quickly with no smudges, no paper tears, and no ghosting. These erasers won't crack or harden with age. 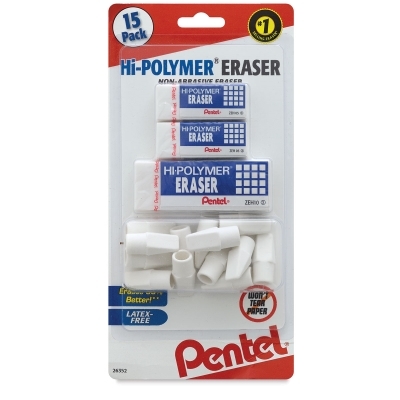 Includes one large eraser, two small block erasers, and 12 eraser caps.